Canon surprised me. 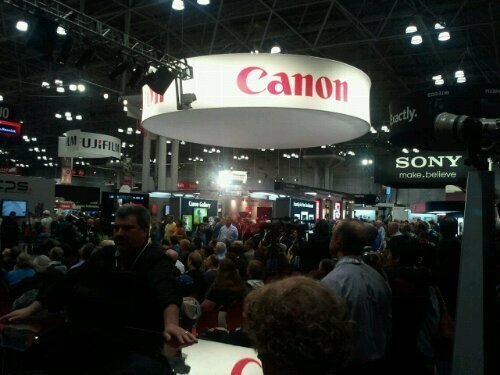 They actually had the new Canon 1D X out for people to demo. The compact flash slot was sealed to prevent you from walking away with samples, but they had several working prototypes available for testing, as well as one mounted display unit and one underbody available. Big and heavy, one par with 1Ds Mark III and 1D Mark IV. 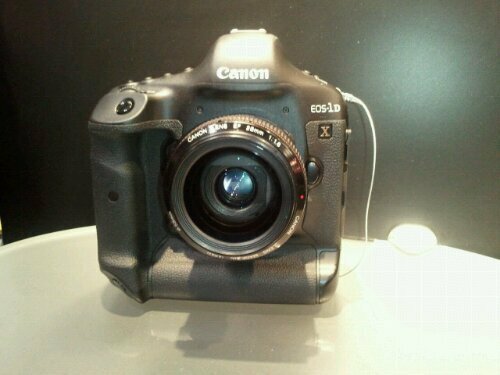 Canon is now calling the line “the 1D System” to move away from the “Mark” designations. It will be available in March 2012. 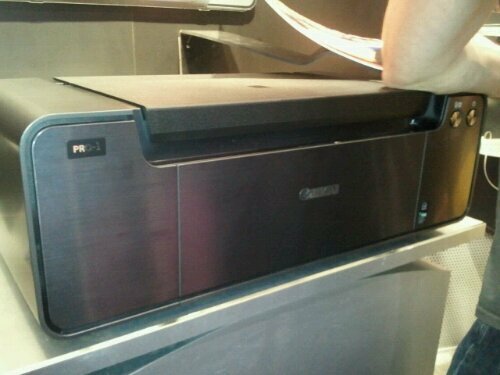 Canon also had its new Pixma Pro-1 12-ink printer on display. The two new inks are different shades of gray. It is shipping now from Adorama and B&H with limited stock and more on order. Canon is also taking about their Hollywood event which will likely be video-related debut of a new system on Nov. 3rd. Could it be a video camera that takes EF lenses (just like Sony’s new NEX VG10 which shares lenses with the Sony NEX 5)?